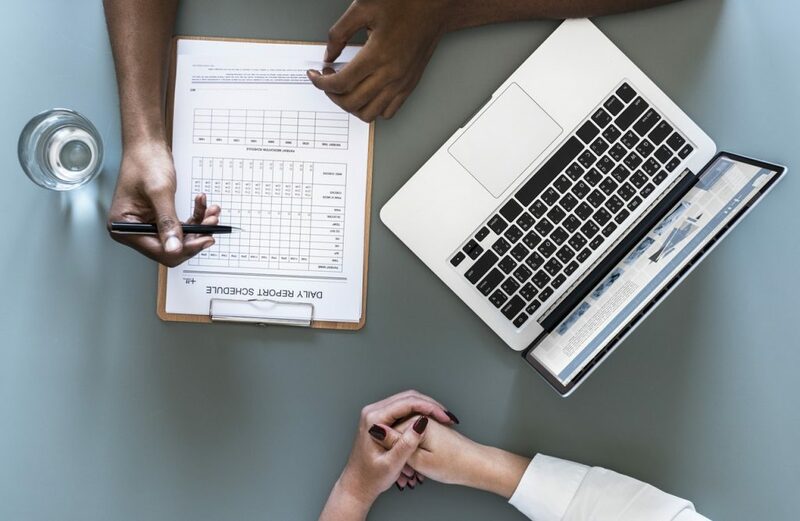 When shopping for an NJ health insurance policy there are a few things to consider that will make your search smoother and more productive! The goal is to acquire coverage that not only covers you where needed but also save you the most money! 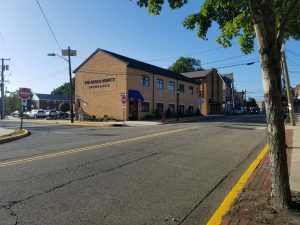 Your Lyndhurst NJ insurance agent at Bogle Agency Insurance will be an invaluable resource to help you locate the right plan for you and your family or for your business. When should I look for a new health insurance plan? Preferably before your current plan expires. The open enrollment period is the time to evaluate your options. And, it is important to not wait until this open enrollment period is up. The more time you have to research and see what’s out there the more options you will have. Waiting until the last minute can leave you with fewer options. That being said, many people get stuck between jobs or finding themselves without coverage at the last minute. Will I be able to keep my current doctor(s)? If the doctor or medical group that you use matters to you then you should make sure you can continue your routine. Every health insurance plan is different and covers different physicians. Make sure the one you choose has your families physicians on the list of approved doctors! I already have health insurance, so I don’t need to look at new plans, right? Insurance plans change over time and being aware of your options is critical to ensuring that you have solid coverage and the best bang for your buck! You may assume you will stay with your current plan and as it comes time to renew parts of that policy change. Making sure you have the coverage you need is important and surveying the competition helps ensure this. 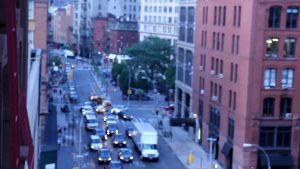 Will I be fined for not having health Insurance? Do I have to shop in the Affordable Care Marketplace? You do not have to get your New Jersey health insurance through the government exchange. However, you do need insurance that meets the standard set by the Affordable Care Act. While portions of the Affordable Care Act have been repealed, the tax fine is still a factor to consider in 2018. This means you will face fines if you do not have health insurance, up to 2.5% of your income! Contact our team at Bogle Agency Insurance today to learn more about your New Jersey health insurance options. Our experienced agents look forward to evaluating your family’s needs to ensure that you have the coverage you need. Let our knowledge and experience serve as your guide to shopping for an NJ health insurance policy. Bogle Agency Insurance has been awarded the IIABA Best Practices status for the 15th year in a row! This accolade is in keeping with our firm’s mission to provide excellent service while following the best practices laid out by the insurance industry. Garnering the Best Practices Status places Bogle Agency Insurance in an elite group of independent insurance agencies around the United States. 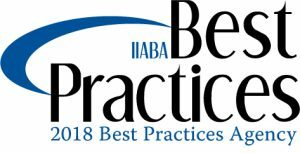 “Best Practices” designation comes by participating in the Independent Insurance Agents & Brokers of America (IIABA or the Big “I”) Best Practices Study group. This is an annual survey and study of leading independent insurance agencies, documenting the business practices of the “best” agencies. In addition, the results are shared with independent insurance agencies around the nation, urging others to adopt similar practices. Since 1993, IIABA and Reagan Consulting, an Atlanta-based management consulting firm, have joined forces to study the country’s leading agencies in six revenue categories. The agencies in the study groups are selected every third year through a comprehensive nomination and qualifying process and awarded a “Best Practices Agency” designation. Those agencies included in the study were nominated by either an IIABA affiliated state association or by an insurance company. After the nomination, those designated as a “Best Practices Agency” are then qualified based on operational excellence. The selected Best Practices agencies retain their status during the three-year cycle by submitting extensive financial and operational data to be reviewed each year. This is the third year of the current three-year study cycle. Over 1,500 independent agencies throughout the United States were nominated to take part in the annual study in the first year of this three year cycle, 2016, but only 262 agencies qualified for the honor. To be chosen, the agency had to be among the 35-45 top-performing agencies in one of six revenue categories. Our company, Bogle Agency Insurance is honored to have received the Best Practices award for 15 consecutive years! Bogle Agency Insurance was founded in 1919 and offers Commercial, Personal, Health and Life insurance products from numerous companies. For further information please contact Philip R. Bogle of Bogle Agency Insurance at (201) 939 -1076. Life insurance is often portrayed as either a line of insurance you absolutely need or one you can do without. But it is much more complex than that! Life insurance offers protection for your beneficiaries in life ending situations. The need for life insurance (or how much life insurance) greatly varies based on the individual’s needs. Bogle Agency Insurance is a great resource to have when deciding whether to invest in life insurance or not. Simply put, life insurance is protection against the financial hardship your dependents may face should you die unexpectedly. There are two main types of life insurance: Term Life Insurance and Whole Life Insurance. Term would be for a set period of time, say 20 years. This is policy offers protection for your family during the years they are most reliant on you. Whole life, as its name suggests, is good for your entire life. Both Term Life Insurance & Whole Life Insurance cover much more than just funeral costs. 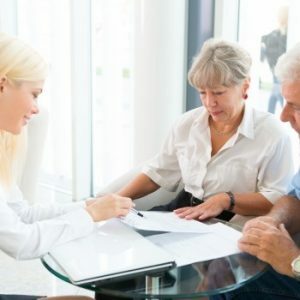 Life insurance can cover debts owed by the deceased, such as a mortgage balance, or it can be used to offset the loss of income after a loved one passes away. Life insurance can be considered an investment as it provides financial security to your dependents or heirs in the event of your death. In many cases, this provides money that may not exist otherwise and ensures your family’s bills can still be paid. The amount of coverage, however, is up to you. A benefit of whole life insurance policies is that in many cases a loan may be taken out using a policy as collateral. This loan is against the cash value of your policy and comes without penalty to purchase a home or pay for school. Some of these policies can also provide money before death if you are diagnosed with a life-threatening disease or illness. A whole life policy is absolutely an investment. A term life policy has a set time limit. It is available as protection and is not an investment in the same way that a whole life policy is. A term policy offers protection but once the term expires that is it, the policy is over and the money you have paid over the years is not available. On the other side, if something happens to you during the term, your loved ones have financial security. Term Life Insurance is an investment you hope you never have to use, but it is available if something happens to you. Is Life Insurance A Good Investment FOR ME? Your Lyndhurst NJ insurance agent can help you answer this question. In the end, the answer is up to you. Ask yourself how financially prepared you are for the future. If you have been investing for the future and have a substantial amount money put away for your family, you may choose to skip life insurance. However, most families agree that any additional resources help after the death of an immediate family member. Contact our team at Bogle Agency Insurance today to learn more about the New Jersey life insurance products we provide. Our experienced agents look forward to evaluating your family’s needs to ensure that you have the coverage you require for peace of mind. Let our knowledge and experience serve as your guide to life insurance in Lyndhurst NJ. NJ insurance concerns often relate to hurricane coverage and claims. A hurricane is a weather event that none of us have control over. While many come and go leaving little more than a few branches in the yard and puddles in the driveway others can leave fallen trees and flooding in the basement. Regardless of what may or may not occur it is important to sit down with your Bergen County insurance agent to make sure you have the hurricane coverage you need. A hurricane means torrential rains, often resulting in flooding; powerful winds that can bring down trees and blow away anything not tied down; and violent waves causing erosion and more. Most people think about hurricane damage occurring to homes. But it is important to realize that damage can occur to businesses as well. 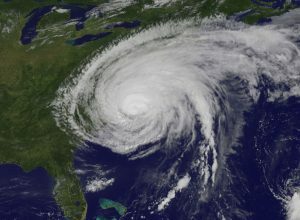 It is important that your NJ commercial insurance policy offers the coverage you need to give peace of mind when a hurricane hits. Make sure you can account for all employees who were at your facility during the storm. If rescuers are needed call the appropriate emergency response group. Be careful of flooded areas and be aware that the water may contain hazardous materials. Do not drive through bodies of water. A puddle may look like a puddle but could be far deeper than you realize. Pools of water may have an electric charge so stay clear. Have your building inspected by an engineer. Wind damage could be more severe than you think. Photograph all damage and make an appointment for an assessor to come out to survey the extent of damage. Hurricanes are a fact of life when living near the coast. The aftermath can be shocking and costly. 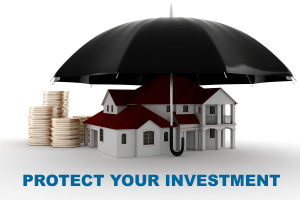 Understanding your homeowners insurance or your commercial insurance is essential. Sit down with your New Jersey insurance agent today and learn more about coverage and the claims procedure in the event of a hurricane. Contact our team at Bogle Agency Insurance today to learn more about homeowners insurance in Bergen County NJ. We welcome the opportunity to help you evaluate your coverage. Let our knowledge and experience serve as your guide to NJ insurance, making sure you understand Hurricane coverage completely. The many benefits of owning a Recreational Vehicle is the ability to go anywhere your heart desires and your pockets allow. With school winding down, warm weather becoming a daily experience and more daylight, your wanderlust may be nagging you. Lucky for you, you have a moving hotel room sitting in your driveway just waiting to hit the road and show you a whole new location. Whether you’re traveling to your regular campground or pioneering new land that you and your family have never seen before, your RV will get you there and keep you comfortable the entire time. Recreational Vehicles, however, are still vehicles. They need maintenance, service, and cleaning before you begin your trek. So, we prepared a checklist for you to use when getting your RV ready for your Summer 2018 vacation! Arguably the most important part of any vehicle. Without tires, you’re going nowhere, and unfortunately, tires like to wear pretty quickly when traveling long distances. Before hitting the road, check your tires THOROUGHLY. Check for uneven wear, puncture holes, tread condition and depth, and lumpy areas around the sidewall. Nobody wants a flat tire during their road trip, but with damaged or worn tires, that may be the least of the problems you can face. Tire blowouts, although not as common as they used to be are one of the major dangers facing RV travel. Examining your tires is one of, if not THE most important factors to getting your RV ready for a trip. Aside from avoiding unpleasant smells during your trip, there are many reasons to check and service your water and sewer lines. A typical examination of the water system includes: checking the pumps to ensure they are working properly, flushing the lines to clean, checking for leaks, and checking that all flushing hoses are accessible and free of damage. Batteries lose their charge when not used for several months. Most RV owners know to keep a trickle charger on the batteries while stored, but if not checked on a regular basis, the charger may not have worked correctly. So, before you embark on your trip, check to make sure your battery is full of charge. If it’s not, consider replacing to avoid any potential breakdowns. An RV is no different than a car when it comes to making sure your engine is in tip-top shape before a trip. Oil changes are needed whether you’ve driven the allotted miles or not. Over time, condensation can build up inside the engine of both the RV and the generator, which could cause engine damage to both. So make sure you get your oil changed before your trip. Along with the engine oil, all fluids should be checked for levels and condition. This includes Brake fluid, transmission fluid, power steering fluid, engine coolant and windshield washer fluid. Nothing is better than stopping for gas and seeing your shiny RV sitting at the pump! Cleaning the outside will not only make your RV look like it belongs on the front of a traveler’s magazine, but it will help you examine the exterior for any damages you may not have noticed previously. Even in closed storage, RVs can become damaged by heat and weather, so while you’re washing the vehicle, check all seams and window molding for tears or early wear. Cleaning the inside is important as well! While you’re cleaning, check to make sure all motorized extensions work correctly. Lastly, check to make sure you haven’t picked up any unwelcomed guest like rodents or bugs while your RV was stored. You’ll typically be able to see signs of both while cleaning your vehicle. 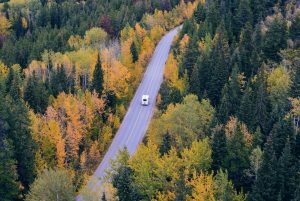 Recreational Vehicles often carry a similar type of insurance as your everyday automobiles. This includes your typical collision, comprehensive, liability and uninsured motorist coverage. As with regular vehicles, your insurance rates are based on many different factors. This is why it’s commonly expressed that insurance coverages should be evaluated on a yearly basis. Recreational Vehicles are no exception. You could save money on your policy by speaking to your insurance agent. Something as simple as paying off a debt could bring your premium down! Saving money on your RV insurance could add to your vacation budget, allowing you to go further and see more than last year! Bogle Agency Insurance is proud to offer insurance policies for Recreation Vehicles. Our Lyndhurst New Jersey Insurance Agents would be happy to walk you through a re-evaluation of your current policy to see if we can save you money while providing you the best coverage. Contact Bogle Agency Insurance to speak with one of our agents about your Recreational Vehicle Insurance Policy. Workers compensation insurance can be a lifesaver for employees injured on the job. As its name suggests it covers compensation, or lost wages, while you are out of work due to sickness or injury. The important thing to understand is who and what is covered by workers compensation. First and foremost there are three basic facts to understand what it takes for workers comp to kick in. To be covered you must be an employee. The sickness or injury has to have occurred, or originated while on the job. Who Can Receive Workers Compensation? Let’s take a look at number one. What does it mean to be an employee? Does it count if you are a part-time employee or an independent contractor? The independent contractor is an easy answer, they are simply not an employee. Independent contractors may carry their own worker’s compensation policy, but when it comes to a workers compensation payout from the employer, an independant contractor is not an employee and therefore is NOT covered. If you are a part-time employee you are covered by workers compensation AS LONG as the injury originated from an event at work. Getting hurt outside of the job does not entitle you to workers compensation benefits. Are Businesses Required to Carry Workers Compensation Insurance? Workers compensation insurance is a requirement for businesses that employ more than one person. If you are working for a company that has a precarious work environment you should make sure that there is an active workers compensation policy in place. When you put your health and safety on the line for an employer you want to make sure you are covered! Bogle Agency Insurance offers a full line of NJ insurance options for business and individuals. Let our team answer all of your insurance questions and ensure that you have the coverage needed when needed. Let our knowledge and experience help serve as your guide to available New Jersey insurance policies while answering all of your workers compensation questions as well. Personal umbrella insurance starts where your primary insurance leaves off. Insurance products are often limited, including homeowners insurance, auto insurance, and health insurance to name a few. While these products offer the coverage you need, Umbrella insurance can help you cover the unexpected. It is available to step in when your insurance doesn’t cover the full amount of a settlement. Your Lyndhurst NJ insurance agent is here to evaluate your individual needs and ensure a policy is drafted to deliver the coverage you require. How Does Personal Umbrella Insurance Work? Umbrella Insurance is exactly what it sounds like. It is a policy that covers you above your other policies. By having Umbrella Insurance, you are ensuring that, in the event of an unexpected lawsuit, you are covered completely. For instance, if an unfortunate event occurs at your home and results in your family being sued $2 million, but your homeowner’s insurance only covers up to $1 Million you’d be left to cover the difference. This could result in losing your home, cars and much more. However, If you’re covered by Personal Umbrella insurance, the policy would step in and cover that additional $1 Million, leaving you and your family safe from financial disaster. What Does Personal Umbrella Insurance Cover? A New Jersey umbrella insurance policy provides additional coverage on top of your homeowner’s policy, your auto policy, or your boat insurance policy. This is extremely helpful should you be sued for amounts above the limit provided by your general policies. Umbrella insurance, however, is not a requirement. But, it is certainly recommended for anyone with significant assets or savings. In addition to extra coverage for your primary insurance policies, umbrella insurance will cover liabilities incurred by activities in which you partake outside of what your general liability insurance covers. This can include coaching, volunteering, playing sports, and even serving on the board of a non-profit. Umbrella insurance covers the unforeseen and offers peace of mind in unusual circumstances. Contact our team at Bogle Agency Insurance today to learn more about New Jersey insurance products. Our experienced agents look forward to explaining umbrella insurance policies and whether one is necessary for you and your family. Let our knowledge and experience serve as your guide to personal umbrella insurance in Bergen County NJ. Commercial umbrella insurance provides an extra layer of protection for business owners. Owning and operating a business involves a certain amount of risks, some industries have more risks than others. Having this extra protection is instrumental to protecting your business and your own personal finances. A New Jersey commercial umbrella insurance policy makes sure that your business is covered where your standard commercial policy may run out. Businesses face risks every day. From the more obvious, like slips & falls to the not so expected false advertising lawsuit. Your business most likely holds commercial vehicle coverage, Commercial property insurance, worker’s compensation insurance, and general liability insurance among its policies. However, these policies typically have a limited payout amount. That is where Commercial Umbrella Insurance comes in. In the event of a large lawsuit, Your Bergen County commercial umbrella policy will protect you and your business. How Does Commercial Umbrella Insurance Work? All businesses are required to have some sort of insurance. This insurance covers everyday risks of doing business. In the event of a lawsuit, the business may be forced to pay out damages to whoever, or whatever is damaged. Let’s say you have been sued for false advertising and required to pay back $1.5 Million to your customers. Your general business liability insurance will cover $1 Million as per your policy, but the remaining $500,000 is left for you to pay out of pocket. In order to protect yourself, and your business, Commercial Umbrella Insurance will step in and cover the remaining $500,000. This leaves you free to continue conducting business without worrying about being stuck in a bad financial state. Contact our team at Bogle Agency Insurance today to learn more about New Jersey commercial umbrella insurance policies. Our experienced agents look forward to evaluating your business insurance needs to ensure that you have the coverage you require. Let our knowledge and experience serve as your guide to commercial umbrella insurance in Lyndhurst NJ. NJ commercial insurance requires different types of coverage to ensure success and to cover your assets. Types of business insurance coverage include Workers Comp, Employer Practices Liability Insurance (EPLI), General Liability, Business Automobile, and Commercial Umbrella. Of course, different sized organizations need different sized policies and coverage. Choosing the right insurance policies for your business should be a number one priority! It is helpful for NJ business owners to understand the different types of commercial coverage needed. Below is a basic rundown of the different policies that may be needed for your business. Employer Practices Liability Insurance (EPLI) is coverage for the employer. There is a lot of risks involved with employing people and EPLI keeps a business covered. Of course, understanding policies and procedures as well as having excellent record keeping can help lower costs for EPLI. General Liability Insurance covers a business for the unexpected, whether its a slip and fall on the premises or property damage incurred. Liability insurance protects not only assets, but also the company itself from potential lawsuits or even having to pay out damages. Business Automobile Insurance covers your vehicles and your employees driving the vehicles. This is essential coverage for any business that owns vehicles of any type. Traditional vehicle insurance does not typically cover vehicles used in a business setting or manner. So, it is important to make sure your vehicle is covered for commercial use! Commercial Umbrella policies cover additional liabilities resulting from lawsuits or other damage. This is an extra layer of insurance designed to protect a company’s assets in the event of an unexpected situation that regular insurance may not cover. Commercial umbrella insurance is a great way to avoid the stress of wondering if your regular business insurance is enough coverage. Contact Bogle Agency Insurance today to learn more about business insurance in New Jersey. We welcome the opportunity to provide you with information on how to best protect your business and your assets. Let our knowledge and experience serve as your guide to NJ commercial insurance.